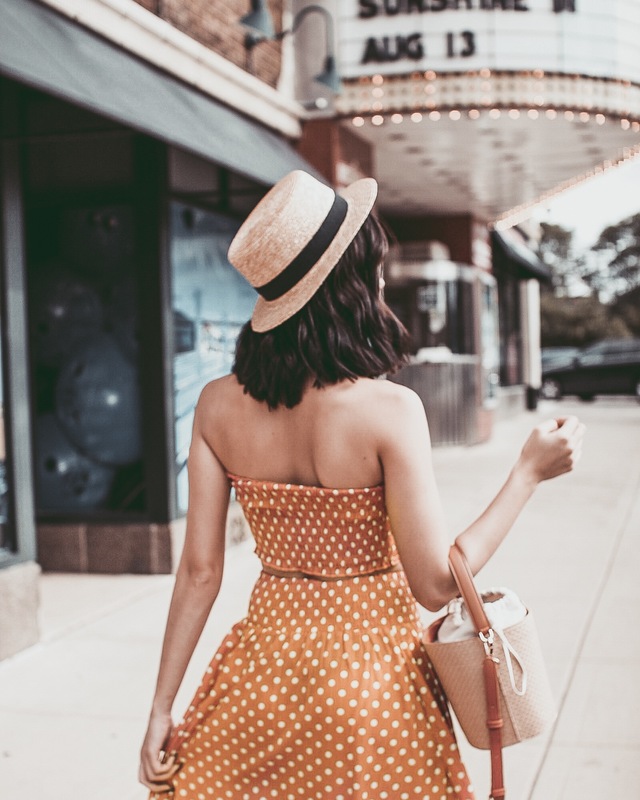 It’s not the first time I mention here in my blog how much I love polka dots. They are super delicate, feminine, look good with most pieces, and are really cute for summer. In today’s look, I’m using this cute matching set from my favorite store The Boutique. The fabric of this set is just so soft and refreshing, perfect for those hot days. For accessories, I decided to go with this boater hat and a bucket bag. They are super trendy in this season and look awesome with almost everything!